GW Athletics unveiled a new floor design for the Charles E. Smith Center on Monday, highlighting the landmarks of our nation’s capital. Updated: May 21, 2013 at 6:01 p.m. 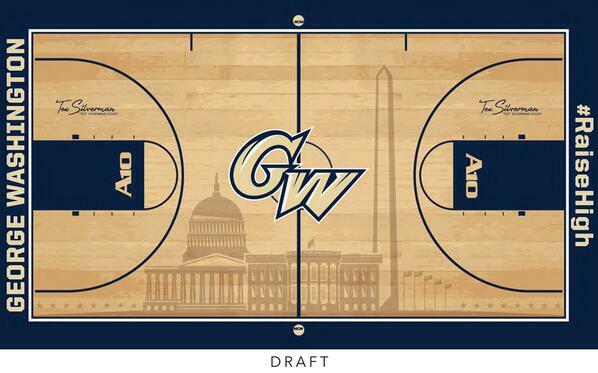 The National Mall will become GW basketball’s playground next year. Or, at least, it will look like it. The athletics department unveiled new Smith Center floor plans Monday, featuring a design adorned with District monuments like the White House, Capitol building and Washington Monument. The court will be completed by the end of the summer. 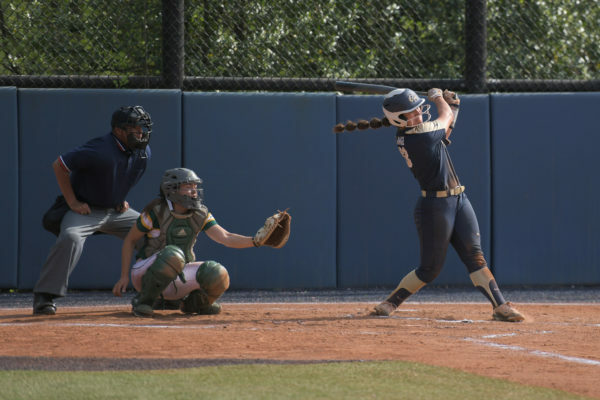 “When people around the world are watching our games, we want them to immediately recognize and understand the university’s unique setting in the middle of the action in this world-class city,” athletic director Patrick Nero said in a release. In addition, the new design gives fans a taste of what GW has pushed to improve spirit in the last year, with #RaiseHigh to be lettered on the side of one baseline. 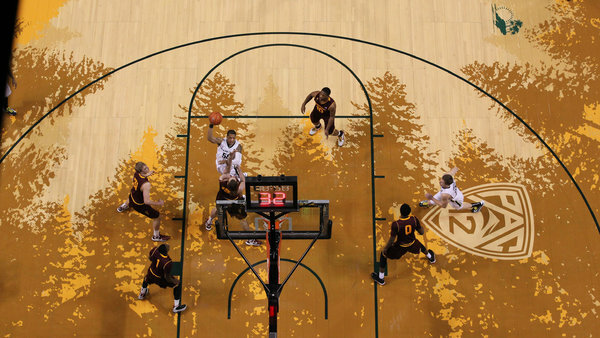 Universities nationwide have increasingly turned toward new court designs to serve as branding devices, like University of Oregon’s court, which resembles a forest of fir trees. The new court will not tack on any added cost because it was designed in-house and is part of the Smith Center’s annual resurfacing, executive director for athletics communications Brian Sereno said. The design also falls in line with the department’s efforts to add splashier marketing and facilities upgrades outlined in the athletics strategic plan, which called for an infusion of funds into programs ignored because of budget pressures and the set-up of a Buff and Blue Fund to bolster donations. Patrick Nero, the athletics director, said last summer that budget upgrades and new tactics are already making an impact. “I think what we’re seeing right now, and this is not a secret, is we’re seeing it have a very positive impact on recruiting. 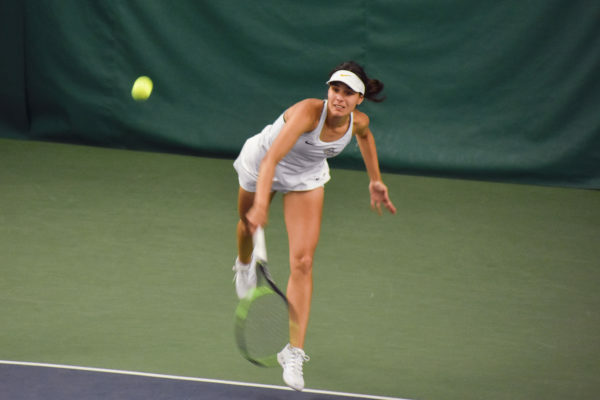 The facility upgrades, the money we’re putting into television, a little bit more aggressive marketing,” he said. Both the volleyball team and men’s and women’s basketball teams will play their entire 2013-14 seasons on the new court, including next year’s A-10 volleyball championship, which is scheduled to be held at GW in November.